Much of Rome has been planned since Italy’s unification in 1871. 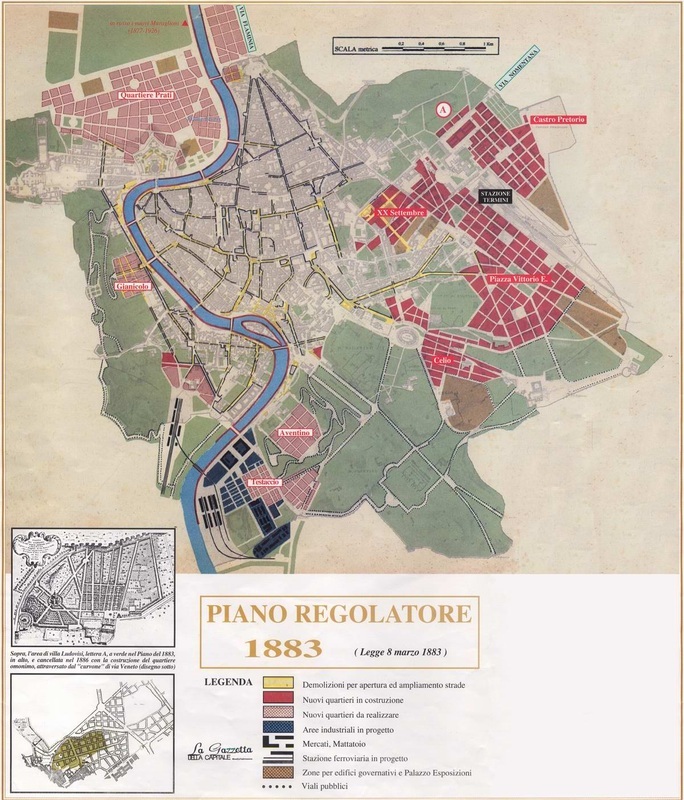 Multiple versions of the Piano Regolatore Generale (PRG, or "city plan" in Italian) have been used to for city expansion. 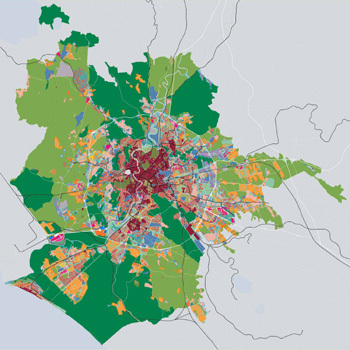 Like many urban master plans, plans are often not followed without strong political will behind them. At this point, the city was still contained with the city walls as it was 1,500 years ago. Stazione Termini (main rail station) built 1874-1885, still in operation today. 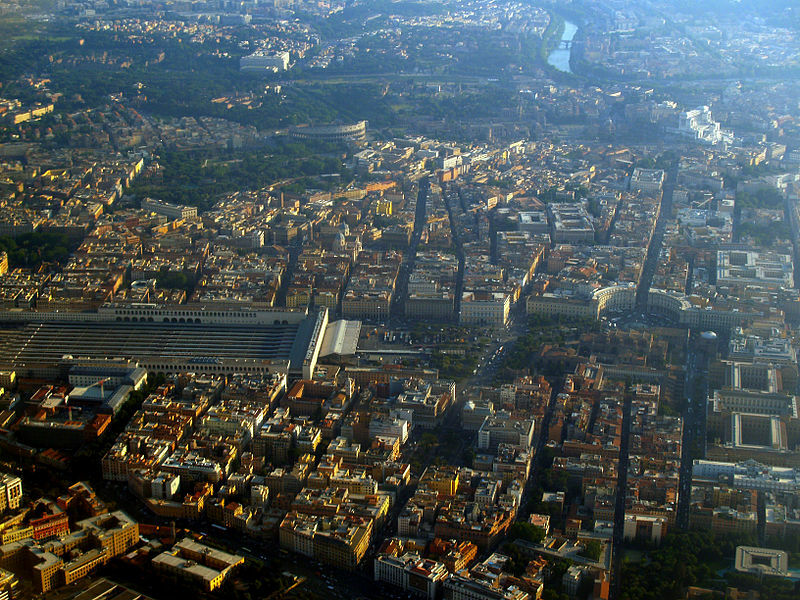 Mussolini had grand plans for Rome and its urban renewal. He conceived the idea to address the impact of the automobile by removing all activity from the historic center. 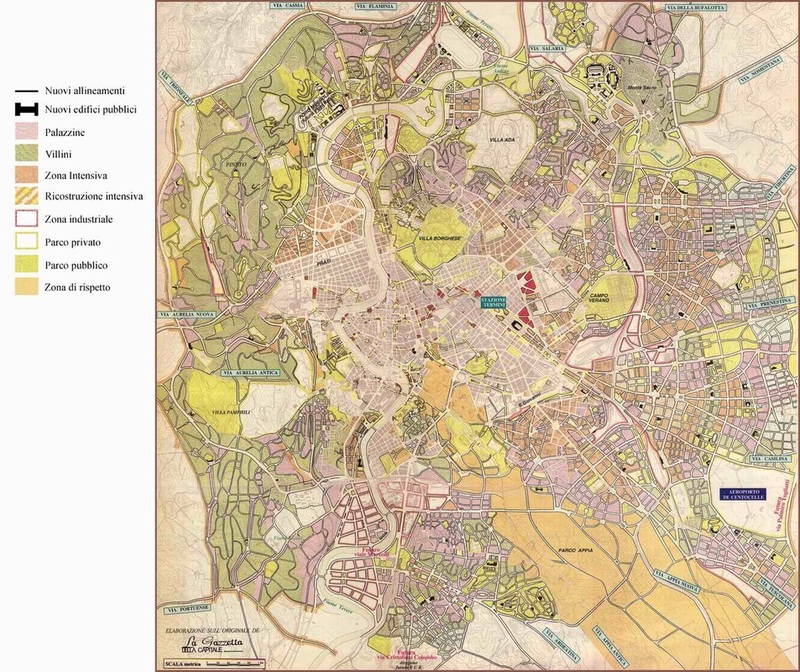 Read more about Mussolini and the significant spatial impact he had on the city.